A harmonious fusion of Oriental opulence and European decadence, the Porcelain Events Suite is designed to cater for every imaginable event from corporate conferences and cocktail parties to breakfast meetings, corporate lunches, private dinners, exhibitions and movie premiers. The large indoor conference rooms mean it is an excellent choice to host indoor events whether it be Race Nights, Casino Nights or even Product Launches. Our conference venue in Belfast provides facilities for any business or social event, from an intimate private dining luncheon to a sumptuous reception attended by the press. In a city rich with culinary possibilities, the spacious Grill Room & Bar provides the perfect setting for socialising and relaxing. Combining the finest continental cuisine with choice local ingredients, The Grill Room is the ideal location for breakfast, lunch or dinner. 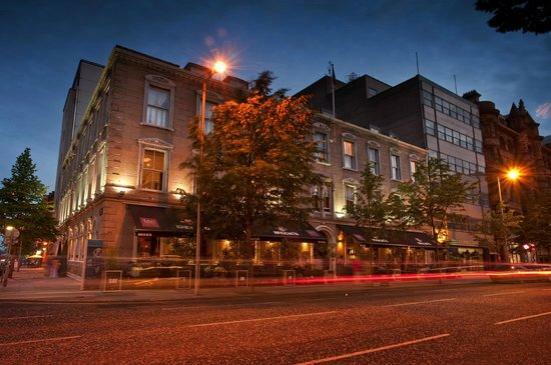 Our extensive menu is perfectly complemented by The Grill Bar, serving a premium collection of wines, champagne and spirits in a colonial setting right in the heart of Belfast City Centre.